Today I am interviewing Wulfstan. He is a very important character, Byrhtnoth’s friend. I thought I had invented him, every hero needs a friend; a contrast, someone to talk to, to give advice, even to argue with. Byrhtnoth is tall, fair and a warrior. Wulfstan is small, dark and… what? Preparing this I had one of those strange coincidences that I have encountered while writing the book. I knew that there were many people about in this period named Wulfstan (It means wolf stone – a good solid name for a boy.) I knew that there was someone of the name, an Archbishop of York, who is buried near the remains of Byrhtnoth in Ely Cathedral. I looked him up. This Wulfstan was consecrated Bishop of London in AD996. He became Bishop of Worcester and Archbishop of York – at the same time! He was famous for his writing and died in 1023. Nothing is known about his youth or his life before 996 – five years after Byrhtnoth’s death! So did I invent him? Let’s see what MY Wulfstan has to say. 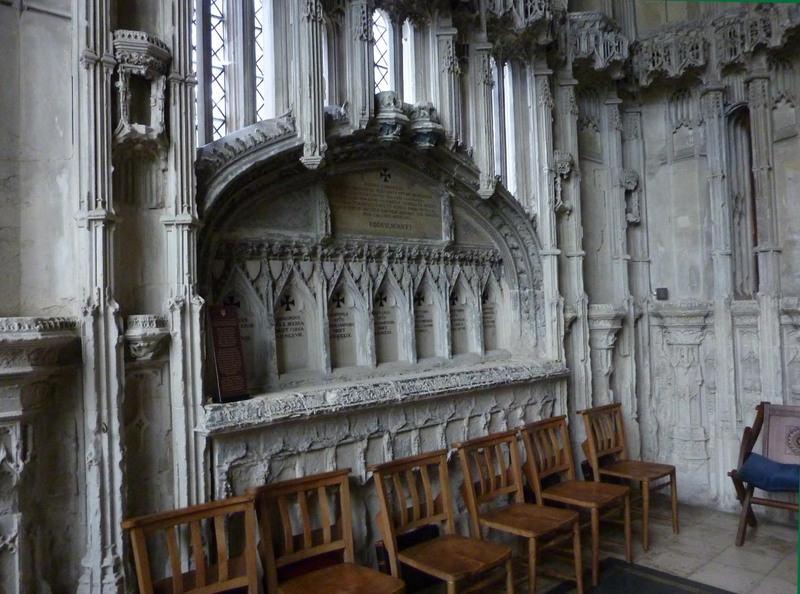 A : I live in the Monastery at Ely, where my friend was buried after the Battle of Maldon in AD991. My author thinks she created me – someone to tell the tale of Byrhtnoth. I have written two introductions for her, but I suspect she will discard them. A : If you have read the previous interviews, you will know our book is about Byrhtnoth. We meet, as children, on the very first page. He is bigger and braver than me and we become friends for life. A : As I have said, she needed me. Every hero must have a friend, a sidekick, it is sometimes called. A : Like others I have no family. I had a sister once, when I was young, but she died. It was my fault she died. They say I could not be blamed but it haunts me still. I have met many nasty people, but the first was a man called Egbert. He was there at the first; one of the group of boys. Later I beat him in a competition. I humiliated him, for which I am sorry, but it was fun at the time. He took revenge, I nearly died and things changed forever. A : I suppose that must be the competition with Egbert. It was on horseback. I rode Sleipnir – and before you ask, he doesn’t have eight legs! Sleipnir is not a pretty horse, but very clever. We ran rings around that Egbert, and when his horse.. but I mustn’t say too much. A : When I nearly died. I don’t remember much and I don’t want to. A : She has stuck with us. We have all encouraged her to keep at it. I keep remembering events for her to write about. If there are any mistakes you can blame my erratic memory. A : I have started feeding her new ideas, so I hope there will be more books. After all, we have only got to AD 946 or is it 947? So long ago! Forty years or more until he dies. A : Such a difficult question. Byrhtnoth is happy in his own time, but I have always questioned thing, wanted to know more, about the past and the future, and foreign lands. Your time appears interesting – so much information, so much ease of travel. 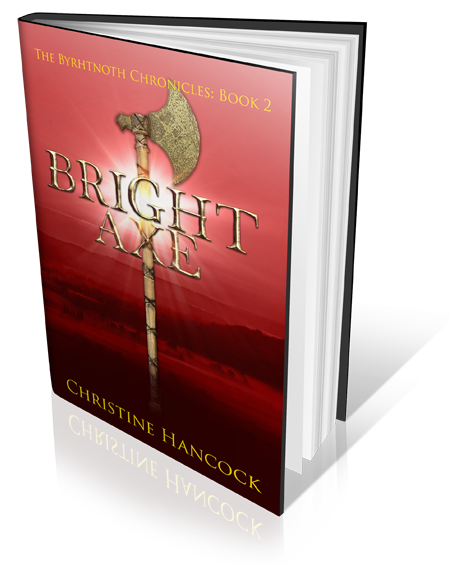 Perhaps my author will let me tag along with her occasionally, in exchange for my knowledge about my time, about my adventures with Byrhtnoth. Remains interned in the 10th century Saxon church at Ely, reburied in the present Cathedral and moved several times. Byrhtnoth is on the far right and Archbishop Wulfstan on the left.